So it appears that rugby’s fabled old farts are thinking the unthinkable, and considering ruling out the contested scrummage. As those of you who know me may have guessed by now, I am firmly of the opinion that this is A Bad Idea. Those who don’t play rugby — and many of those who do — are not aware of what goes on in the admittedly murky area of the front row. As a tight head prop, I find myself in the thick of it on a regular basis. And as I mentioned the other day, I love it. And here’s why. In Beyond A Boundary, CLR James describes his love of cricket in terms of it being a battle between individuals in the midst of a team game. Propping is perhaps microcosmic of this, but is the closest you’ll get to it on a rugby pitch. Come saturday afternoon at 3pm, I’ll line up on the pitch wearing a number 3 on my back. There’ll be someone else from the other team wearing 1. Either I’m stronger and smarter than him, or vice versa. Either way, one of us will be having a long afternoon of at times extreme discomfort. You just don’t get that playing at stand off. With that last statement, I do not mean to diminish the contribution of the second row. To the second rows who read it (indeed — to the second rows who can actually read), let me explain. I reckon that with Martin Johnson behind me at 5, I’d scrummage better. 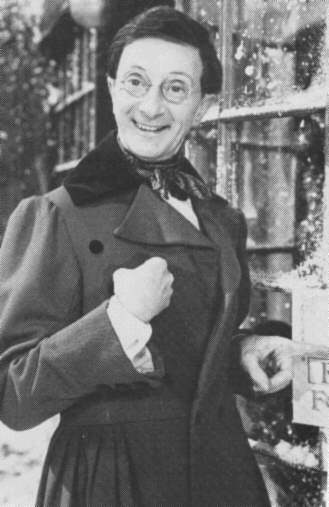 However, if Charles Hawtrey was playing second row, I’d probably not do too badly. Conversely, even with Johnson at second row, a scrummage propped by Hawtrey would only ever go in one direction. Even with the best second row in the world, you need a good prop in order to have a functioning scrum. It is one of the great things about rugby union that pretty much everyone can play it, regardless of their body shape (I’d put Hawtrey on the wing, by the way. And then hope that the ball never reached him. Or his opposite number). Fast, agile people can play in the back 3. Stocky, powerful runners can play in the centre. Wiry, elusive players make up your half backs. Then in the forwards, you have big, powerful, tireless sociopaths in the back row, pituitary cases at lock, and fatties up front. Everyone gets a game. To emasculate the scrummage would be to remove this unique point of rugby. Without any need for my not insubstantial bulk, why not put three more flankers into the front row? What other sport can I play? It’s too late to train to be a synchronised swimmer, and I don’t think that one can take up 3 day eventing on one of these. Everyone scrummages with their eyes open to the possibilities, yet we still choose to do it. Mostly because there’s nothing else we can do. I cannot imagine rugby without the scrummage (well, maybe I can). It is more than just a method by which the game can be restarted. It is a chance to launch an attacking platform, irrespective of which team puts the ball in. For me, the sight of a French loose head coming onto the pitch with most of his jersey cut off just because he was afraid of scrummaging against The Great One was a defining moment of my rugby upbringing. Although it is easy to miss the fineries, to watch the likes of Julian White, Carl Hayman, Jason Leonard, Martinleandro Castrogiovanni, Os du Randt, or Paul Rendall ply their trade — taking apart the opposition in their own quiet way — is a joy. To sum up, I have enormous sympathy for people who have been seriously injured during a scrummage. However, by the RFU’s own admission, of the 23 serious spinal injuries sustained on the field between 1997 and 2002, seven of these were during scrummages. And that means that the other 16 were sustained somewhere else. Why victimise the scrummage? This is not a hobby. This is an illness. As I write this post, my legs hurt too much to travel up or down stairs. I cannot straighten my right index finger, and the thought of raising my left arm close to vertically makes me wince. Wearing short sleeves, I can see the 12cm scar on my forearm. If I care to go back 5 years, I have accrued a broken wrist, a cracked rib, a fractured shoulder, a strained Achilles tendon, chipped my knee, pulled muscles in my back and neck, cut my head open, and been knocked out. For this privilege, I have invested a not insubstantial amount of time and money. In what cause? Playing rugby. Playing rugby hurts, smells, is frequently too wet, and too cold. When I take the field, there are people whose sole intention it is to inflict pain upon me, in the same way that I aim to reciprocate. And I’m a pacifist. Without sounding too unloved, it’s my job on the pitch to run, lift, and push myself into the ground so that other people can score tries and look good. In so doing, I wear a pair of shorts the brevity of which would make Mary Quant blush. And yet I love it. I had to watch a match from the subs bench last weekend, jetlagged after a 15 hour journey, and spent the whole 80 minutes wanting only to get on the pitch. Today, with legs seemingly on fire after yesterday’s weight training session, all I could think about was whether or not we had a match next weekend. Yesterday was my last free saturday afternoon until next april. There must be a good reason for this obsession. But I don’t know what it could possibly be. When I lived a completely sedentary lifestyle, I can safely say that things were great. But come every sunday morning, for the next 8 months, I will wake up feeling like I’ve been run over. Yet I wouldn’t swap it for the world. And that’s why I think I must be ill. Sane, well people just don’t do this. In all probability, things would have been a lot easier if I’d done the sensible thing and just handed over my stuff without too much of a fuss. As it is, I prolonged what was — let’s be honest — a fairly uncomfortable experience. Although I do still own a handful of metal trinkets (and Dom’s book, which had better be really good), I also have the image of two knife-wielding chavs coming at me whenever I close my eyes. Was it worth the trade-off? The honest answer is that I still don’t know. Part of me is happy that there are two chavs who had a slightly surreal experience robbing someone, and had to root around in the myriad dog turds that make up most alleys in Grays for their meagre returns. The other part of me would quite like a good night’s sleep. I need to be in control of my destiny. For a couple of minutes the other night, I was one bad decision by an undereducated little scrote away from the morgue. And that scares me more than I know how to say. Well, it turns out I’m a coward. I’d always suspected it, and — to be honest — it’s rather unfulfilling to have found it out. Walking home from the station, down a particularly badly lit alley, two young ne’er-do-wells jumped out on me, each wielding large samurai swords and demanded the contents of my pockets. By way of background, I’m 6’3″, a fairly handy rugby player, what is known in polite company as “a fuller-figured gentleman” and frequently play off the fact that by virtue of this genetic throw of the dice, I am in some way tougher than your average man. It turns out this is not the case. The young roustabouts seemed slightly bemused by my insistance that I had spoken to everybody I needed to today, and as such had no need for a mobile phone. That was a lie. They seemed even more bemused by my insistance that no matter what happened, I was not leaving without the book in my hand. Don’t worry, Dom – I’ve still got it. I explained that it was an interesting looking book based there-or-thereabouts on cricket, that it wasn’t mine, and as such I had no desire or authority to give it to them. I offered my copy of the Guardian. Maybe because it was open on the cryptic crossword page, they were scared off. Thank you, Araucaria. I never thought I’d hear myself saying those words… Anyway, after a bit of haggling, I tossed them a pocketful of change. So I then spent the next few hours at Grays Police Station giving a statement. So if you’re reading, I’ve handed the rozzers a really accurate description of the hoodies you lowlife sh*tbags were wearing. However, the chances of your being able to read are — let’s face it — negligible. The part of the evening about which I’m most upset is that having signed my witness statement, I was handed a sheet of paper by the very nice, understanding WPC who took my statement. This sheet lays out my rights as a crime victim. Like every male under the age of 35, I am fully aware that I am invincible. As such, I despise any weakness to myself — perceived or actual. How dare these undereducated little tossers defile this belief by rendering me a victim? How dare they render a part of MY TOWN a place which I never dare visit again? How dare they demand objects for which I’ve worked long and hard just so that they can flog them at a car boot sale? How come it’s 1.30 in the morning and I still can’t sleep? Arseholes. * Although I now am.